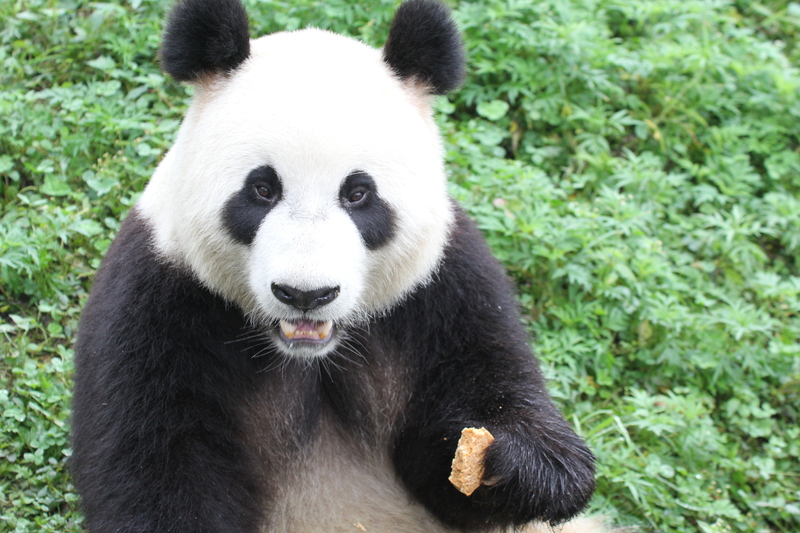 In June 1980, the China Conservation and Research Center for the Giant Panda (CCRCGP) was established at Wolong. The center was known for its extensive breeding research projects and highly successful captive breeding program. 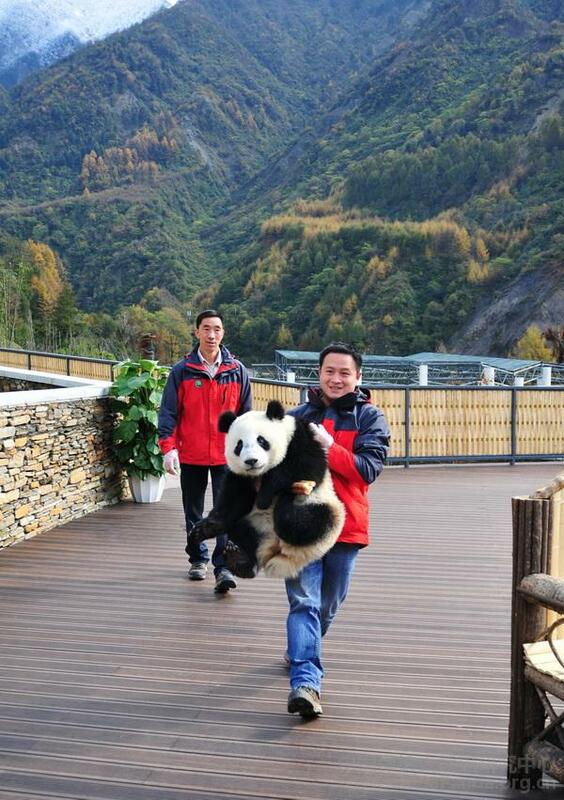 Tragically, the Wolong Panda Center was largely devastated by the catastrophic 2008 earthquake. The road to Wolong was rendered impassable since portions of bridges collapsed and parts of the road were totally taken out by rock slides. The road went through the epicenter of the earthquake. 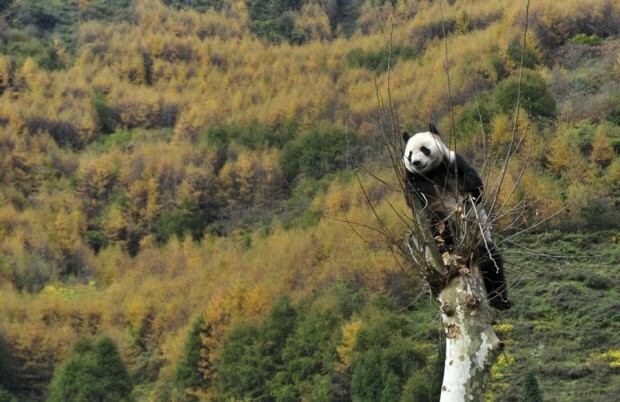 Thus the only access to Wolong was through poor dirt roads over high mountain passes. 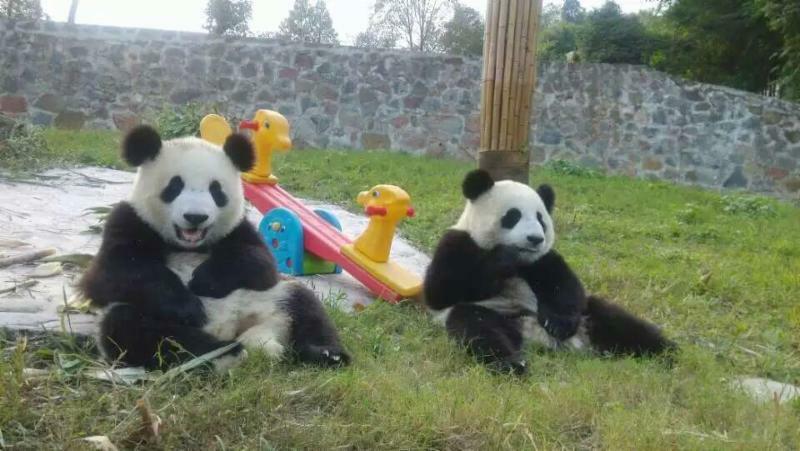 Many rescued pandas were moved to the Bifengxia Panda center (also part of the CCRCGP) as damage was assessed and plans were made for reconstruction. 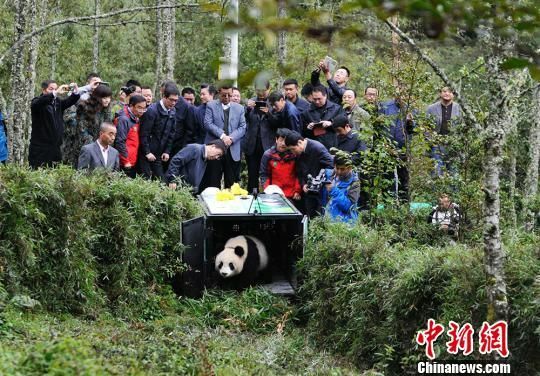 It was decided that the Wolong Panda Research Center would be relocated from Hetaoping to Gengda both within the Wolong Nature Reserve and that it would be a comprehensive base integrating scientific research, public education, captive breeding and the field training for the reintroduction program. 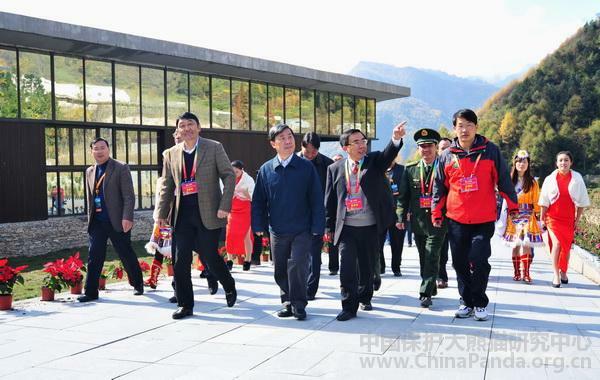 On October 30, 2012, an opening ceremony was held for the new Wolong Center. 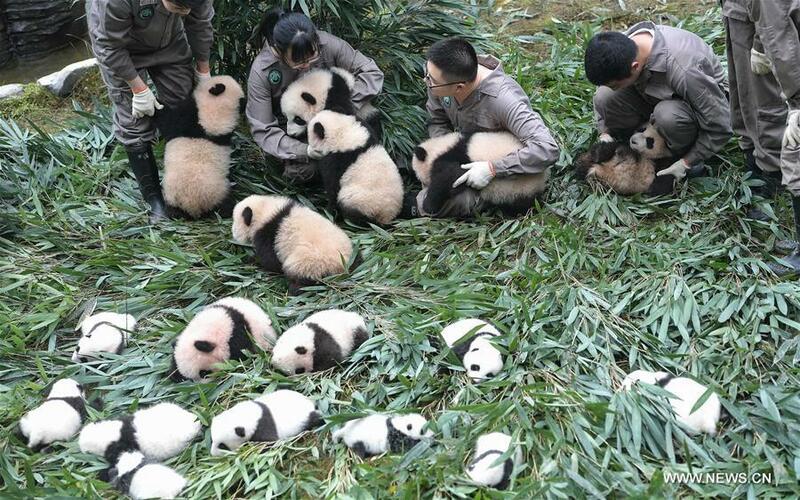 Eighteen pandas have been relocated to the new center and are settling in nicely to their new home. 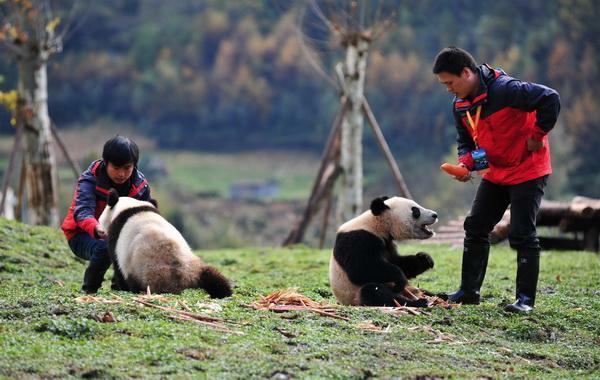 Years of preparation have ensured that the Giant Panda habitat in the reserve has been effectively restored to a healthy natural environment. 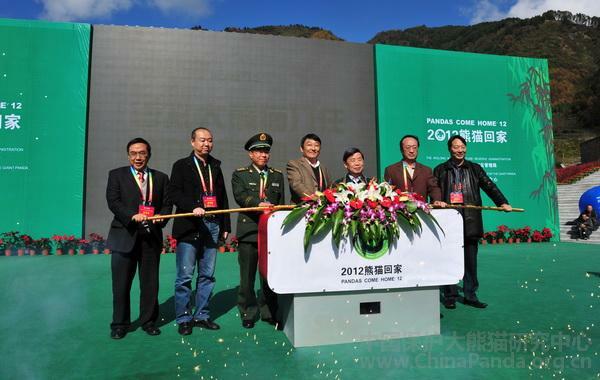 Reforestation and bamboo planting have been successful and will continue into the coming years. 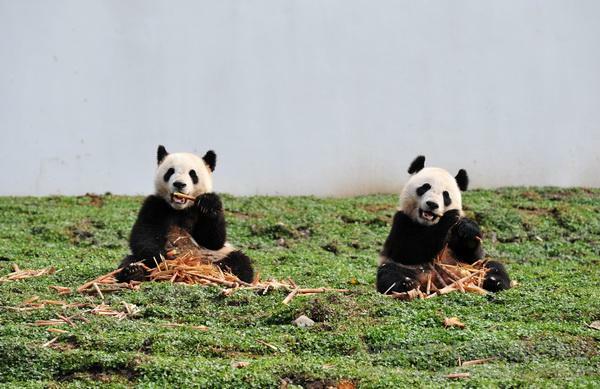 Some of the bamboo planting is part of the Bamboo Project of Pandas International.